Ryan Boland is a principal attorney who represents corporations, financial institutions, and individuals in the areas of complex commercial litigation, corporate litigation, and banking law. Mr. Boland also serves as outside general counsel to owner managed businesses. Mr. Boland has extensive experience in the areas of real estate litigation, employment litigation (including prosecuting and defending restrictive covenants), as well as providing general corporate and real estate advice. Mr. Boland also handles intellectual property law cases, including preparing, filing, and prosecuting federal trademark applications and arbitrating Uniform Domain-Name Dispute Resolution Policy (UDRP) disputes. Mr. Boland was selected to the Pennsylvania Rising Star list for 2016 and 2018, an honor awarded only to the top 2 1/2% of young lawyers in Pennsylvania, as published annually in Philadelphia Magazine. 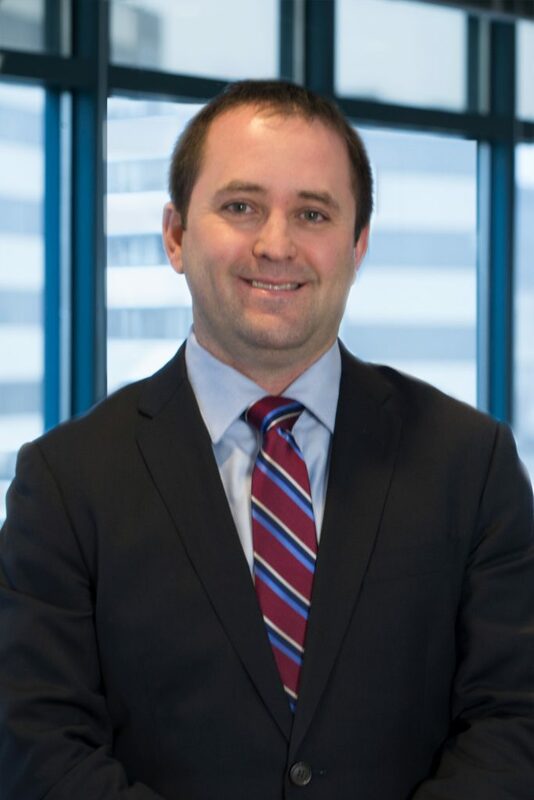 Mr. Boland was appointed by the chancellor of the Philadelphia Bar Association to serve as a member of the Investigative Division of the association's Commission on Judicial Selection and Retention. He continues to serve in this role. During law school, Mr. Boland served as a law clerk to the Honorable Kevin A. Hess in the Cumberland County Court of Common Pleas. After graduating, Mr. Boland was a law clerk to the Honorable Arnold L. New in the Philadelphia County Court of Common Pleas. Mr. Boland has practiced law for over ten years, four of which were spent as an associate with a large national law firm practicing commercial litigation, banking law, class actions, and professional liability. He also spent five years practicing at a commercial litigation boutique law firm in Philadelphia. Mr. Boland has also served as a volunteer through Volunteer Income Tax Assistance (VITA) where he assisted low income individuals with preparing income tax returns. Represented financial institution in defending unfair competition and trade secrets claim. Represented lenders and borrowers in workout and recovery phases of multi-million dollar commercial financing transactions. Represented financial institution in sale of failed large condominium complex. Represented financial institution in prosecution of fraud and breach of contract claims against one of the world’s largest oil conglomerates and obtained successful resolution of claims. Defended wage and hour collective action claims asserted against a Norwegian company. Defeated a petition for a preliminary injunction seeking the enforcement of a non-compete and non-solicitation clause and obtained dismissal of complaint. Obtained a temporary restraining order on behalf of a franchisor enforcing a non-compete and non-solicitation clause. Obtained voluntary dismissal of a securities fraud action against a broker. Successfully obtained voluntary dismissal of fraud and unjust enrichment claims against a financial institution. Represented individuals in litigation involving asset purchase agreement. Successfully executed on and obtained title to commercial and residential real property to enforce judgments on behalf of successful litigants. "Neighbors Have Standing to Challenge Zoning Board Decision in Landfill Fight"
"‘Drastic Plastic’ TV Show Video — Defamatory or in Poor Taste?" "The Erosion of Barriers to Obtaining Out of State Discovery"